Library of Congress. 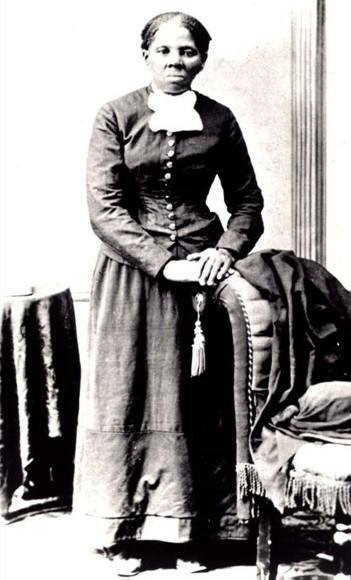 Credit: ‘Portrait of Harriet Tubman.’ Courtesy of the Moorland-Spingarn Research Center, Howard University. By sheer happenstance I caught the tail end of the review of a new book, Black Dispatches, by Ken Dagler, which tells stories of African American slaves who actually served as spies. As someone who had decided to be a spy at the age of five (albeit later denied for being “too short”), I found a written review of the book and, once read, put it on my “to buy” list. The snipets of information provided in the review included the story of William Jackson, a slave of Confederate president Jefferson Davis and a spy for the Union Army. As Davis’ servant and coachman, Jackson learned high-level details about Confederate battle plans and movements because Davis saw him as a “piece of furniture — not a human,” according to Dagler. “So Jefferson Davis would hold conversations with military and Confederate civilian officials in his presence.” You can imagine the information Jackson took back! As I continued to read the review, I noticed Dagler also told the story of Harriet Tubman. Like many others, I had read children’s books of Harriet Tubman, which mainly focused on her work on the Underground Railroad. It wasn’t until I read more about Harriet recently that I learned that she financed most of her trips by cooking and doing laundry. She also advocated on behalf of women and worked with the likes of Susan B. Anthony, Ralph Waldo Emerson, Horace Mann, and the Alcotts. She was asked by the Union Army to organize a “network of scouts” among the black men, and she herself led many an expedition, finding as a woman “domestic” that she too could fade into the woodwork, prime for gathering information. What did she get paid for her three years on behalf of the Army? $200. She was denied pension even though the Army has asked her to work for them. According to About.com, “She supported herself and her work by selling baked goods and root beer which she worked on after her work duties were complete.” She later received a pension, but only because she was a widow of a former soldier. In searching for more information, I ran across numerous books written about Tubman. One of the most interesting (and yes, another book now on my “must get” list), is Harriet Tubman: the Road to Freedom, I can’t help but wonder what Ms. Tubman would think of the gains of the African American and women’s communities today and of the work still needing to be done, such as pay equity? I do know that if the U.S. government had learned from one of the best success stories in the spy business who was a mere five feet tall, that I may have been writing for a different ”company” today. Like many 30-something Americans, most of what I know about Harriet Tubman was taught during Black History Month in two short paragraphs. Her contributions like so many women, and African-American women in particular, is diminished in the history of this county. I recently found a lecture video on the WGBH Forum Network site at http://forum.wgbh.org/lecture/harriet-tubman-bound-promised-land featuring historian Kate Clifford Larson. She has written a biography of Harriet Tubman using extensive genealogical research titled Bound for the Promised Land that may be worth a read. Sarah, I think your experience is reflective of most of us. It’s time to re-read history given more recent research and new findings that we didn’t learn in school. This has been a good reminder to me as well. This reminds me to check updates in history more often. I too remember reading stories about the Underground Railroad and Harriet Tubman with my mom, but never heard about her other activities. Nor had I heard of Ken Dagler or his book, Black Dispatches. As an African American, I owe it to myself to make sure and learn more about my heritage, especially since when I was in school, very little, if anything, was taught about the subject.